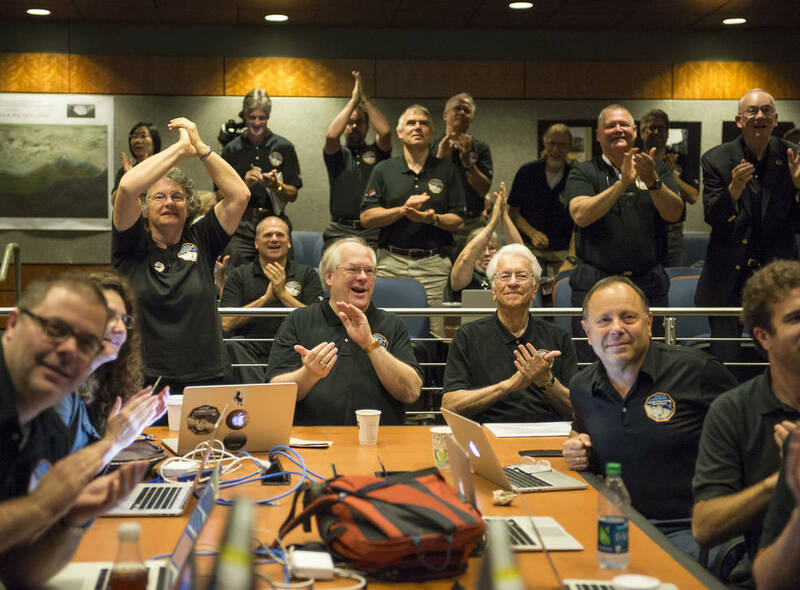 Members of the New Horizons science team react to seeing the spacecraft's last and sharpest image of Pluto before closest approach later in the day, Tuesday, July 14, 2015 at the Johns Hopkins University Applied Physics Laboratory in Laurel, Maryland. 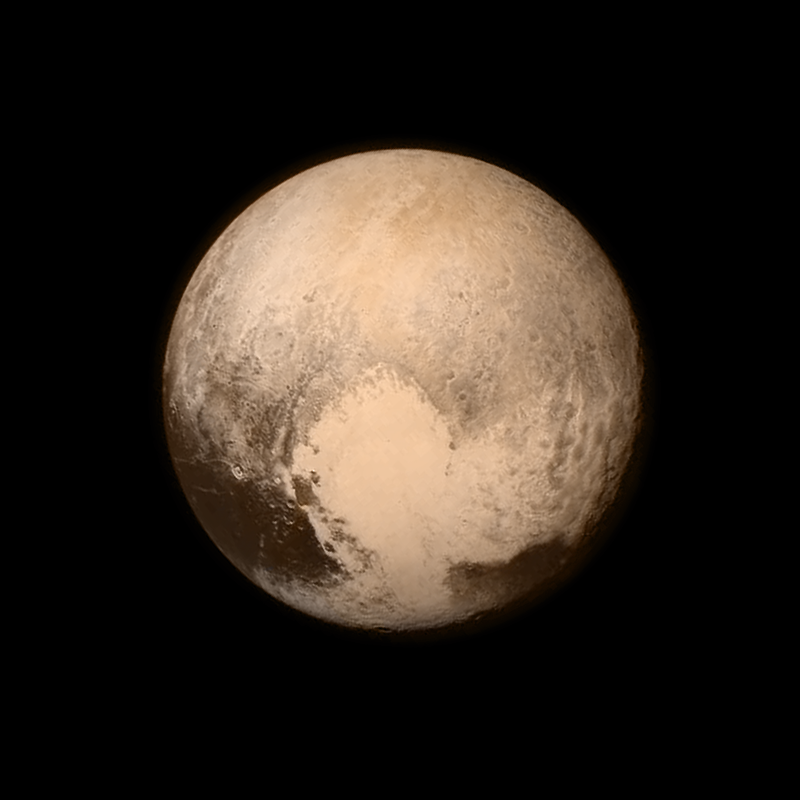 After a decade-long journey through our solar system, New Horizons made its closest approach to Pluto Tuesday, about 7,750 miles above the surface — roughly the same distance from New York to Mumbai, India — making it the first-ever space mission to explore a world so far from Earth. Because New Horizons is the fastest spacecraft ever launched – hurtling through the Pluto system at more than 30,000 mph, a collision with a particle as small as a grain of rice could incapacitate the spacecraft. Once it reestablishes contact Tuesday night, it will take 16 months for New Horizons to send its cache of data — 10 years’ worth — back to Earth.